HTTrack: https://www.httrack.com/ I gave a brief overview of HTTrack at that same DPC event last year that I linked to above. I have also included my slides at an attachment here – the HTTrack demo starts on slide 15. Webrecorder: https://webrecorder.io/ by Rhizome. Their website is great and really informative, but let me know if you have any questions about how it works. Shortly after this, I followed the link that Sara had provided to the UKWA nomination site and filled in the form for pwofc.com. On 14th March I got a response saying that the British Library would like to archive pwofc.com and requesting that I fill in an on-line licence form which I duly completed. On 16th March I decided to explore the contents of the UKWA service and found it collects ‘millions of websites each year and billions of individual assets (pages, images, videos, pdfs etc.)’. I started looking at some of the blogs. The first one I came across was called Thirteen days in May and was about a cycling tour – but it seemed to lack some of the photos that were supposed to be there. The next two I looked at, however, did seem to have their full complement of photos; and one of them (called A Common Reader) had a strangely coincidental entry about ‘Instapaper’ which provides what sounds to be a very useful service for saving web sites for later reading. 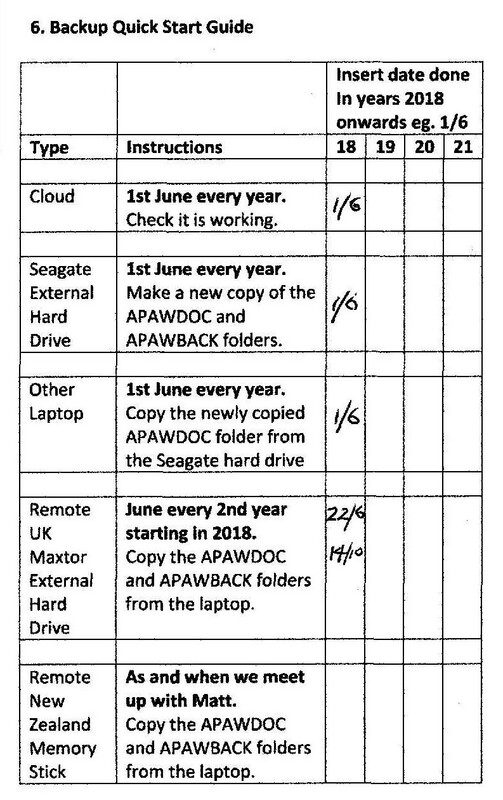 It looks like the UKWA does an automated trawl of all the websites under its wing at least once a year, so I guess that, as a backup, it should never be more than a year out of date. An hour after completing this exploration, I got an email confirming that the licence form had been submitted successfully and advising that the archiving of pwofc.com would proceed as soon as possible but that it may not available to view in the archive for some time due to the many thousands of web sites being processed and the need to do quality assurance checks on each. Since then, I’ve been checking the archive every now and again, but pwofc.com hasn’t emerged yet. When it does, it’ll be interesting to see how faithfully it has been captured. Regarding the other two suggestions that Sara made, I’ve decided to discount Webrecorder as that entails visiting every page and link in a website which would just take too much time and effort for pwofc.com. However, I’m going to have a go at using HTTrack, and I’m also going to try and get a backup of pwofc.com from my web hosting service. Having experienced all these various archiving solutions, there’ll be an opportunity to compare the various approaches and reach some conclusions. 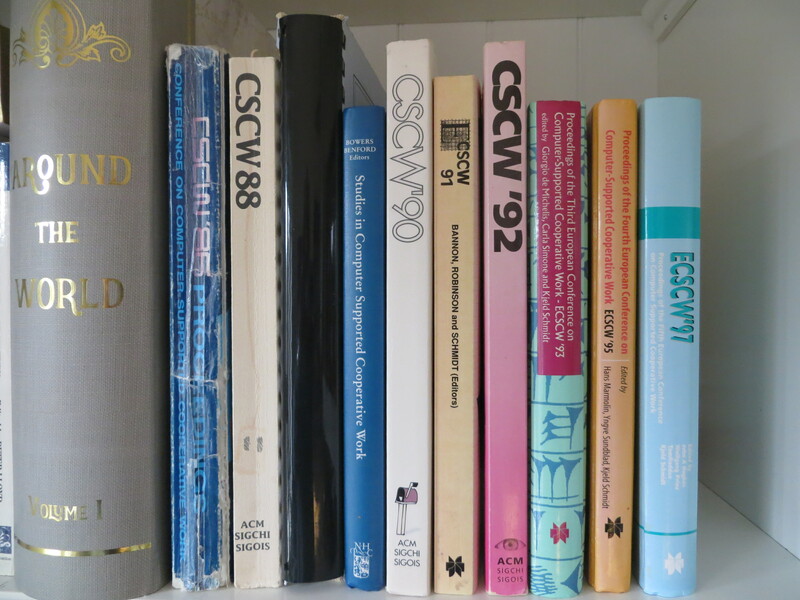 A summary of the work done and the lessons learned has been published as a Blog Post on the Digital Preservation Coalition (DPC) website. The preservation planning templates were updated as a result of insights gained in the work and these are available as embedded files in the above ‘Application of Preservation Planning Templates’ paper and also in the DPC website. 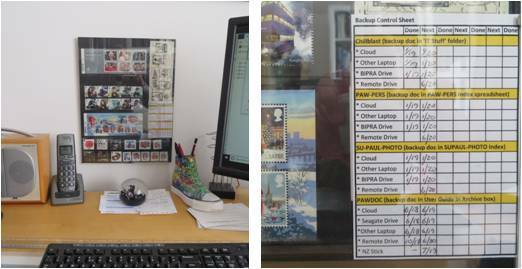 It looks like the blog post describing the Digital Preservation work undertaken last year on the PAWDOC collection, will be published next month on the DPC website. It will refer to the full paper describing the work in more detail, which will be published here within pwofc.com. At the same time, the preservation planning document templates will be replaced by updated versions in the DPC website. The publication of all these materials will be a fitting end to the preservation planning activities that are described in previous entries in this site. However, there will still be one thing to do before the topic can be considered complete and that is to review the effectiveness of the Preservation Maintenance Plan template when an instance of it will be used in the PAWDOC Preservation maintenance exercise scheduled for September 2021. This is an example of how the construction of a multi-purpose portfolio case can be used to store, display and describe physical mementos and other objects. 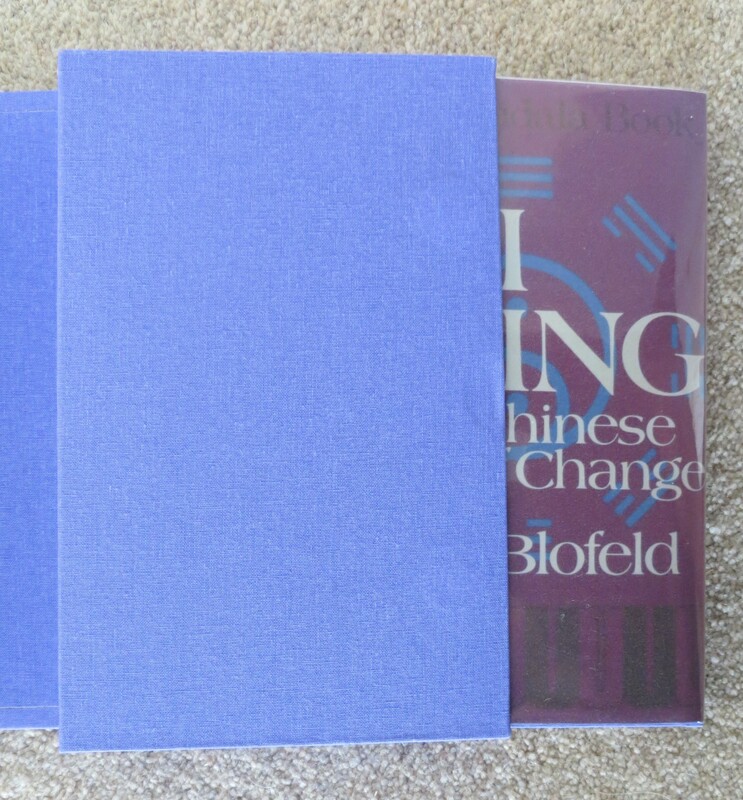 About 40 years ago I acquired a paperback copy of the I Ching – the Chinese book of change which provides a guide to divination or prediction of the future. The inside cover of this book notes that it was written in 1000 BC, is probably the oldest book in the world and is the most powerful distillation of Chinese wisdom. 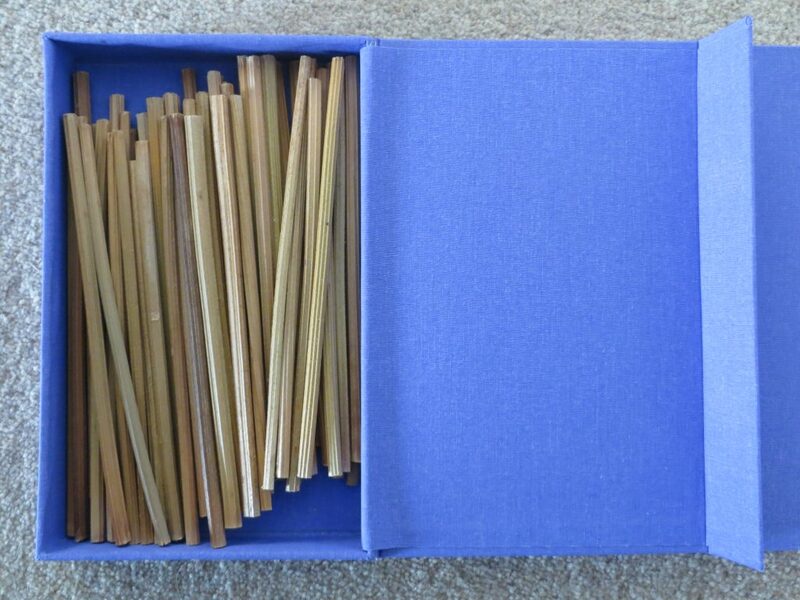 The divination method is to hold 50 sticks upright in a bundle and to allow them to fall randomly, and the text assists the reader to interpret the resulting positions of the sticks. 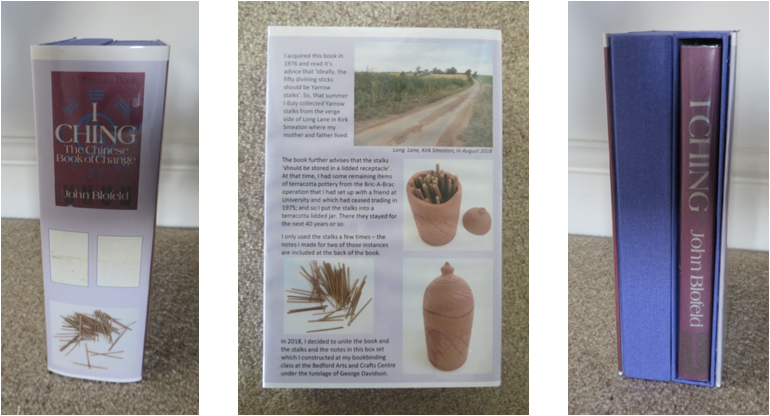 The book instructs that the fifty divining sticks should be yarrow stalks which should be stored in a lidded receptacle which is never used for any other purpose; so I duly collected yarrow sticks from a rural verge side and placed them in a terracotta lidded jar. I only used the I Ching a few times – and still have the notes I made on two of those occasions. The book ended up on a bookshelf and the terracotta lidded jar mostly resided on the bedroom window sill of the various houses I lived in. In 2018, as part of my effort to eliminate all paperbacks from my bookshelves, I decided that I would convert the paperback to a hardback book and, at the same time, to unite the sticks with the book. This was achieved by first turning the paperback into a hardback and including the two sets of notes at the back of the book. 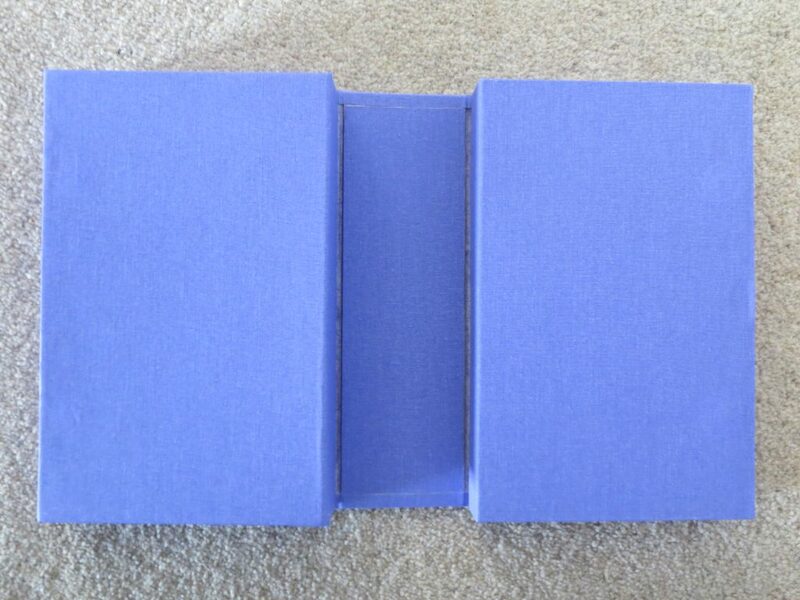 The inside sleeves of the cover were used to document the story of the collection of the yarrow sticks, my use of the I Ching, and the creation of a folding portfolio case for both. Then a case for the book was created as shown below. Next a box for the sticks was created with thin magnets in the flap and in the side of the case, to secure the flap. Then a surrounding cover was created onto which the case and the box were glued. Thin magnets on the top of the case and the top of the box help to keep the structure in place. Finally a dust jacket was created and the story of where the yarrow stalks came from and where they had previously resided, with photos, was documented on the back cover.